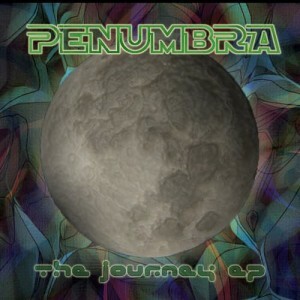 The Journey is the debut release from the Sydney-based duo Penumbra, a project named after the part of a shadow in which light and shade blend and come together. True to form, this release is a deep dive into full-on psychedelic trance oscillating between darkness and light. Spacey alien sounds and tweaked melodies collide to wreak havoc on the dance floor. Released by ESF Records, mastered by Martin John Roast at Silent Partner Studios, with artwork by Deepspace Studios. MP3 Download | FLAC Download | WAV Download · Download count: 4,799. Very powerful psygrooves in this one !! 2014 Proved to be a very good year 4 debut releases … 2015 , What will U bring Us 4 Ekto ?!? Pretty good full on, kinda straightforward and skeletal sometimes but solid. Could use a few more elements to help it stand out… this certainly can’t match the sheer trippiness of stuff like Ajja and Yab Yum. My favorite thing about this release is the groove in the phat psygressivish groove of “Aeroplane Jelly”. Some of the later tracks drag a bit.